Do you wake up after a full night’s rest feeling groggy and sleep deprived? This could be a sign that you have sleep apnea. Sleep apnea is a common sleep disorder that occurs when your breathing repeatedly starts and stops during sleep. Chronic sleep apnea can seriously impact your health and well-being. One of the biggest indicators of sleep apnea is excessive snoring, which is usually detected by bed partners. The most common treatment for sleep apnea is the CPAP machine, or continuous positive airway pressure machine. The CPAP device helps you breath at night by using positive airway pressure. While CPAP machines are effective for some sleep apnea patients, a lot of patients complain that the bulkiness and sound of the machine disrupts their sleep and cramps their lifestyle. A lot of patients find themselves looking for a quieter, more convenient solution, like oral appliance therapy. At Gregory J. Toone, DDS in Lynchburg, VA, we can help create a custom-fit oral sleep appliance to help improve your sleep and renew your health. Obstructive sleep apnea occurs when your breathing is interrupted during sleep, due to muscles relaxing in your throat and blocking your airway. Patients often become distressed, as they struggle to breath, leading to loud choking sounds and interruptions of sleep. These “apnea” episodes of paused breathing last at least ten or more seconds. Untreated sleep apnea leads to disrupted sleep and low blood oxygen levels, as the patient is unable to breath during sleep. Hypertension. Patients with chronic sleep apnea often suffer from hypertension (or high blood pressure), as their body is starved for oxygen at night, and the heart has to go into overdrive to deliver more oxygen to the brain. Heart disease. 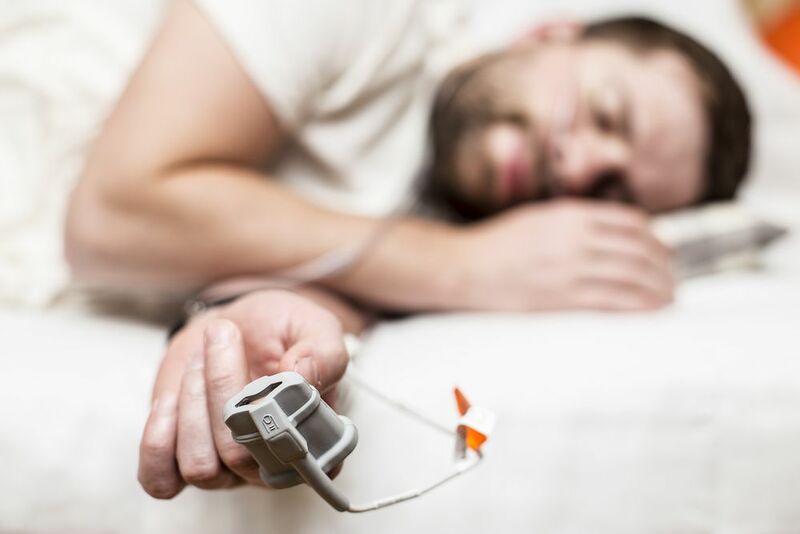 Sleep deprivation and oxygen starvation from sleep apnea can lead to heart disease. Not to mention, obesity is a common risk-factor for sleep apnea, which can also play into heart disease. Memory problems. Your body uses sleep to process memories and improve cognitive abilities. When your sleep is hindered from sleep apnea, it can be detrimental to your brain’s ability to store memories. Accident prone. Sleep deprivation from sleep apnea can make it harder to function in physical tasks, which can make you more prone to accidents at work and automobile accidents. One way you can improve your overall health and well-being is by treating your sleep apnea with oral appliance therapy. Oral appliance therapy is a highly successful treatment used to treat snoring and obstructive sleep apnea. Oral appliances are devices that are custom-designed for your airway and mouth to support your jaw to maintain a forward position and open upper airway. Oral appliances are only worn at night at resemble a mouth guard or orthodontic retainer. In most cases, your sleep apnea doctor will diagnose your sleep apnea, prescribing you to seek oral appliance therapy, in which you will consult with Dr. Toone to decide the best oral appliance for your needs. Oral appliances are generally covered under most medical insurance plans, and they can be a low-cost alternative to traditional sleep apnea treatments. During your sleep apnea treatment, Dr. Toone will need to work with your sleep apnea doctor to treat your snoring. During your first visit, Dr. Toone will discuss your sleep apnea options and the benefits of each treatment. Then, we will need to conduct a complete assessment of your mouth to analyze your jaw, tongue, and airway positioning. We also might need to take new x-rays of your mouth. Oral appliances are customized using models of your teeth through digital or physical impressions. After we take impressions of your mouth, we will send the model to a special dental lab to create the appliance. When your appliance is ready, we will contact you to be fitted for your appliance. We might need to make minor adjustments to the appliance to make sure that it is as comfortable and effective as possible, while teaching you how to maintain the appliance.